You are here: MacNN Forums > Enthusiast Zone > Classic Macs and Mac OS > VRAM - is there a way to test which capacity those sticks have? I have some of the late eighties/early nineties VRAM memory sticks lying around here, which i rescued from dumped LC/LCII/LC475 years ago. 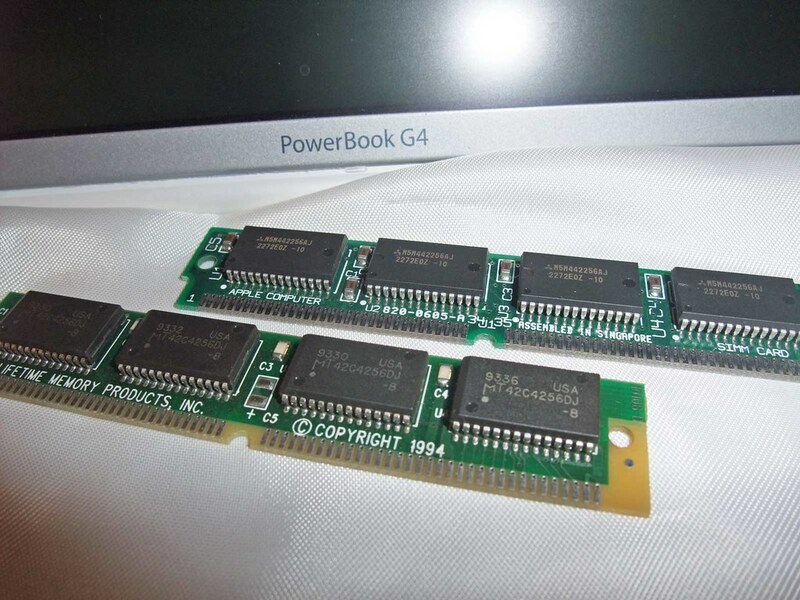 I´m now wondering how i can identify/check the actual capacity of those sticks either from imprinted specs or using a classic Mac and some kind of evaluation utility that reads out the capacity in kB? Of course i checked Google first but i was unable to find anything substantial. You can figure it out from the text on the chips, usually. They would all be 256KB or 512KB, which narrows it down. Thanks for the answer! So in the case of the depicted sticks below it would be 4 x 256 kB = 1024 kB which equals 1 MB?! Actually the number is usually in bits rather than bytes, but that would make it 128 KB, which seems too low. Probably it's a 1 MB. I had the same problem with a huge stack of 30-pin SIMMs. Easiest thing to do is just Google the part number on the chips on each stick of RAM. You can generally find a datasheet or something that will tell you the capacity of each chip...then you just have to use math (gasp!) to figure out the capacity of the stick of RAM. ... how i can identify/check the actual capacity ... using a classic Mac and some kind of evaluation utility that reads out the capacity in kB? Plug them in, then use an obscure utility called "Apple System Profiler". It's available from System 7.6 onwards in the Apple menu. Google is faster, but the Utility question was too good to pass up. Glad, i didn´t miss anything. The two particular machines are running system 7.1 and 7.5. MacNN Forums > Enthusiast Zone > Classic Macs and Mac OS > VRAM - is there a way to test which capacity those sticks have?